The changes within the Tax Plan which are intended to encourage entrepreneurship include a 0.5 percent decrease to the headline corporate tax, from the current level of 25.5 percent. Additionally, the temporarily instated 20 percent tax rate for businesses with profits below EUR 200 000 will be made permanent. The Ministry of Finance also intends to ease liquidity positions of corporations by introducing expansions to loss carry-back facilities and an extension to arbitrary depreciation schemes. To encourage innovative product development within the national economy the Tax Plan will also make permanent the Promotion of Research and Development Act, which can reduce the wage costs associated with research and development activities through reductions of payroll taxes and social security contributions. The new plan also outlines a series of changes which are expected yield an additional EUR 300 million in tax revenues per year by improving tax compliance and reducing tax evasion. The biggest aspect of the alterations is a significant effort by the Ministry of Finance to close loopholes in the tax system, and eliminate the use of artificial business arrangements and transactions which have previously allowed some businesses to avoid their full tax obligations. The Ministry of Finance will also be given statutory powers to exchange savings account details and bank information of suspected tax evaders with countries outside of the European Union. 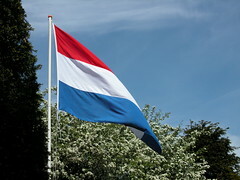 According to the 2011 Tax Plan the Dutch Government will receive an approximate EUR 225 billion in taxes throughout the year 2011. If the estimates are correct and the Government carries out its planned EUR 1.8 billion of cost-cutting measures, then the next year will see the first decreases to the national budget deficit since the beginning of the global financial crisis.